Kids of all ages enjoy creating self-portraits. It's entertaining yet challenging to replicate one's own image in a realistic way. It's also interesting to witness how children see themselves. 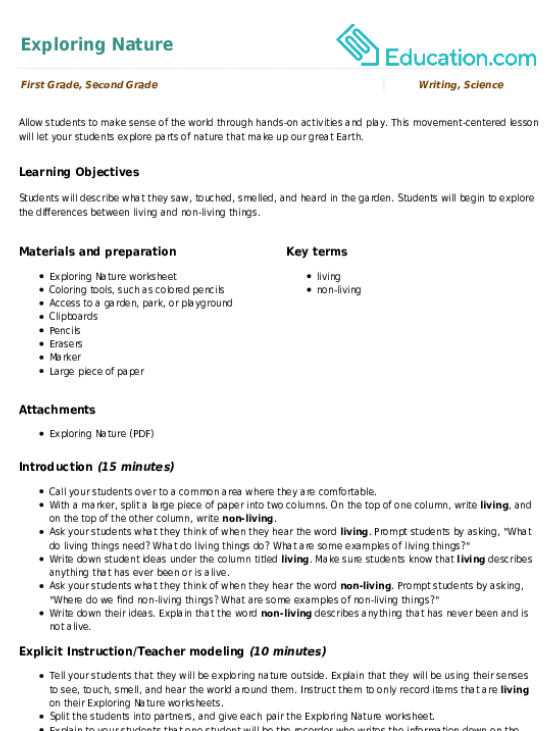 Want to add a unique twist to this activity? Have your child use nature as her palette. Whether it's a bit of grass for hair, some colorful rocks for eyes or even a flower petal to create lips, your child will have a blast using all that nature has to offer to create her very own natural self-portrait! This activity will help your child practise her planning skills, give her an opportunity to experiment with textures, shapes and colors, and allow her to tap into her imagination. 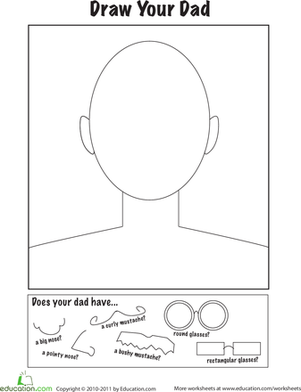 Introduce the self-portrait activity to your child. Give her a piece of oak tag or poster board so she can first make a sketch. Set up a mirror for her to look at while she draws so she can accurately capture her features on paper. Give her a shoe box and have her look around her natural environment so she can start gathering items to use in her self-portrait. 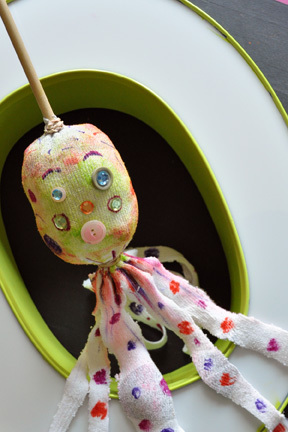 Then with her paper in front of her and a mirror set up or close by, encourage her to experiment putting together different objects to make her face, eyes, hair. Once she's assembled a look she likes she can use the glue to make it all come together. When her natural self-portrait is finished, have your child present her masterpiece to you and tell her to explain the choices she made. Why did she pick certain items? Is she happy with the result? What does she like best about her self-portrait? What effect do the natural materials have on the overall piece? 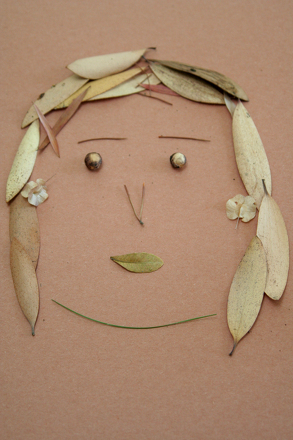 Once the glue dries, hang your child's natural self-portrait up in her room or somewhere in your house for all to see! 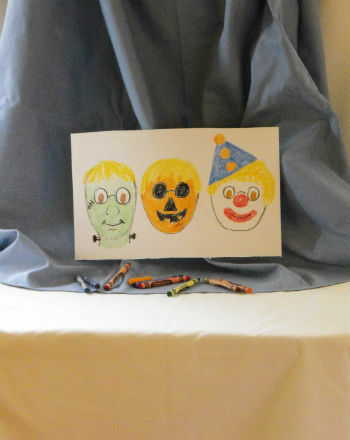 In this activity he will pick out his three favorites and create a trio of silly self-portraits. 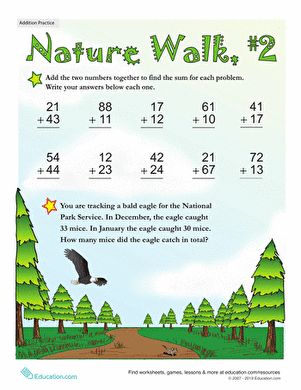 This nature-inspired worksheet is sure to make your second grader's addition practise a little more interesting! 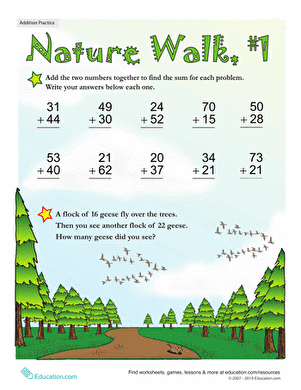 Make maths a little more calm with this colorful, nature-themed worksheet. Find the lines of symmetry in these objects of nature. 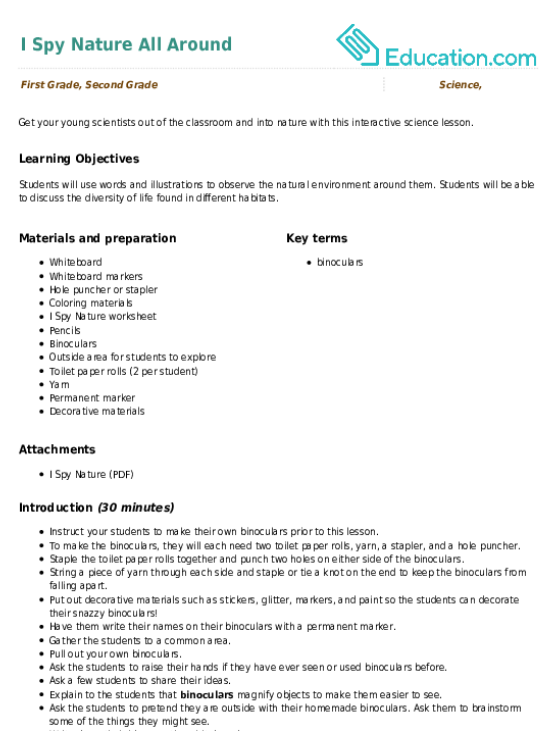 Infuse maths with a bit of colour with this nature-inspired addition worksheet. 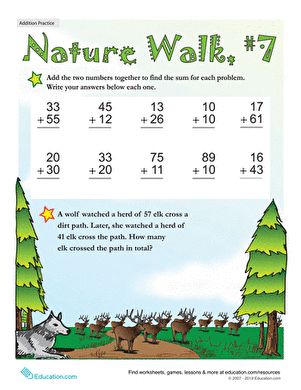 This nature-themed printable just might be the answer to making addition practise more interesting. 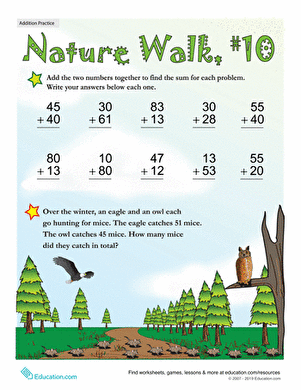 Inject a little energy into addition practise with this colorful, nature-themed printable.